Last January we reviewed several products and clothing items to help get us all fitter and active. Clearly doing that made a lasting impression, as now all of us take regular exercise... some more than others. One of The Test Pit's contributing reviewers, Kate, kept up with running so much she is even tackling her first 10k this summer, and so decided to go about it in the best way possible. 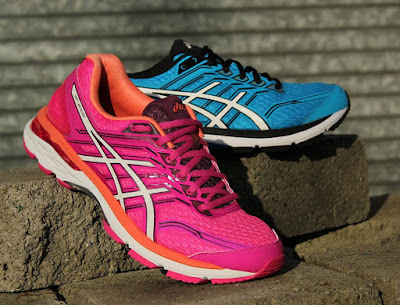 She reviewed the Asics GT 2000 5 Running Shoes and the process that led her to choose them. As a relatively new runner, my first thought was not how good my shoes were. It was whether or not I could make it round the block without collapsing in a sweaty, gross heap, my lungs on the edge of exploding. However as the months passed and my ability to run longer distances grew (much to my surprise), I began to join forums, do some reading and research, and invest in some proper running gear. The first thing people recommend is the right shoes, and the right shoes are so personal, and depend on so many factors; whether you are running with normal pronation or over/under pronation, for example. Also, the next thing recommended to me what getting my gait analysed. So I found a lovely local running shop (Up and Running, in York), took my trainers along, and ran on a treadmill for a couple of minutes whilst a computer took some footage and analysed the way I ran. This was able to tell me that I ran with a slight underpronation on my right foot, and also that I have very high arches. I tried on a few different shoes which were selected to me by the very helpful and patient sales assistant, and ran a few more times on the treadmill to see how my running changed, and improved, with each pair. After a few attempts, we had narrowed down the options to a couple of different makes; my favourite being the Asics 2000 GTs. Asics as a brand come highly recommended by seasoned runners. These particular shoes were not only smart and stylish but they had great arch support whilst still being lightweight. They also provide great cushioning on the outer heel, and I noticed after running in them a few times that I was no longer getting shin splints which I would occasionally experience after a long run. Gait analysis is usually free and is important for anyone who runs regularly, as selecting the right shoes can prevent recurring injuries, some of which can be serious and painful. 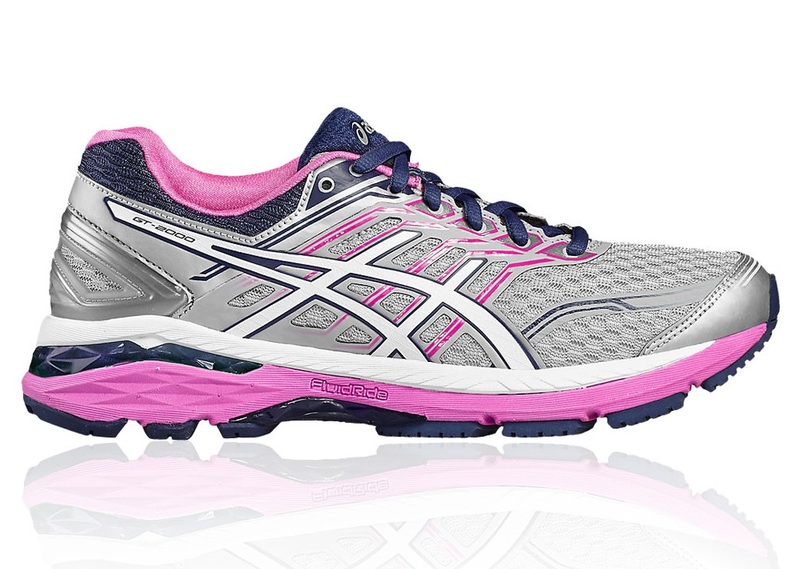 Asics as a brand are committed to helping runners understand their pronation type and have designed shoes to help provide the optimal amount of support and cushioning. I received the shoes from Sportsshoes.com (a store from which we've a pair of trail running shoes in past) as they have an enormous range of running clobber, and finding the exact shoes that were recommended to me (and in the colour I preferred) was an easy job. And, as it has been hot as hell recently here in dear old Blighty, my feet have been kept cool thanks to the shoes' mesh top. Bonus. Although I had come to enjoy going for a run every couple of days, thanks to the Asics GT 2000s those runs are now a complete pleasure. Because these shoes fit the shape of my foot exactly, I feel as if I can run further and for longer, without the typical aches and pains creeping in. Whereas before I was aiming to give the 10k 'my best shot', I'm now confident that I'm going to completely smash it. If you're serious about running, be it for fitness or competition, a proper pair of running shoes is essential. Getting your gait measure by professionals is a great way to go, and then finding the right pair on Sportsshoes.com is easy as pie. I heartily recommend it.